Have you ever had Fathead dough? 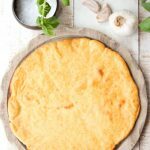 It’s a low carb pizza dough made with mozzarella, cream cheese, almond flour and egg. The recipe was first mentioned on the blog Cookyscreations, in June 2012. The idea was later re-named and made famous by the guys from the Fat Head Movie – see here. Fathead dough is a brilliant substitution for traditional wheat dough and tastes surprisingly similar and rather delicious. 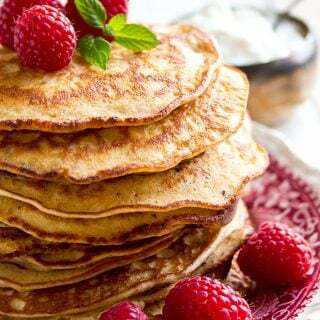 I’ve used it in sweet and savoury dishes such as my Genius Grain Free Pretzels and these Keto Cinnamon Rolls. 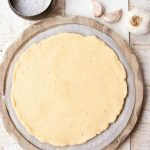 WHAT’S the secret of this easy low carb pizza dough? The one thing about Fat Head dough is that many people find it difficult to handle. This is because you need to melt the mozzarella and then stir in the almond flour, cream cheese and egg. It’s almost impossible not to get your fingers sticky and there is that moment when you think it will never come together. 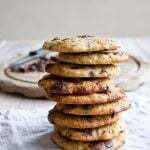 This recipe that omits this messy step – you do not need to knead the dough!! 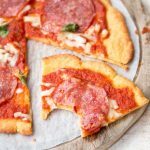 The one essential kitchen gadget to make this easy Keto pizza crust is a food processor or stand mixer. You simply put in all your ingredients and wait until the machine has turned them into a smooth dough. This can take a couple of minutes, so be patient! What happens is that the blades of the food processor end up heating the mozzarella slightly and make it very pliable. 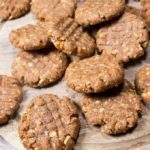 You might be able to get the same result with a stick blender plus attachment, though you might have to mix the dough in two batches. I used coconut flour, mozzarella, salt and egg plus added psyllium husk for that extra crunch. 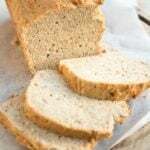 NOTE: I used whole psyllium husk and NOT psyllium husk powder – I have linked to the product I used in the ingredients. Psyllium powder is much finer and will absorb way more liquid, so if you want to use it instead I recommend to halve the amount. 1.) 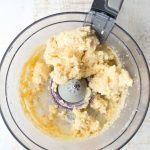 Put dough ingredients in a food processor. Blend a few minutes until smooth. TIP If you wanted an even spongier dough, you could add 1/2 tsp of baking powder. 2. ) Now you slightly grease you hands with olive or avocado oil and form 2 balls of dough. BAKER’S NOTE My 2 dough balls weighed 130g each and the pizza bases had a diameter of 20 centimetres each. 3.) Roll out the dough between 2 sheets of baking/parchment paper. This will prevent the dough from sticking to your rolling pin. Then bake for 7 minutes until lightly browned. 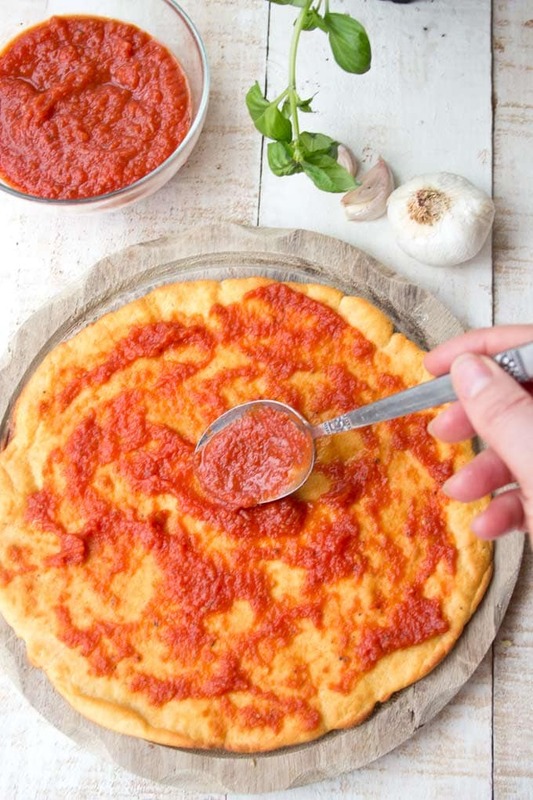 TOP TIP Always add sauce and any additional toppings AFTER the base has been baked – you want to ensure that the dough is nice and crisp and won’t get soggy. 4.) Spread with homemade marinara sauce. How to make your own quick Marinara: simply blend 1 can of good quality plum tomatoes with 1 garlic clove (or garlic puree), salt, pepper and Italian herbs such as basil. Use fresh basil if you can! You can cook the sauce on the stove for 5 minutes to reduce the liquid and thicken it or just use it as is. 5.) Add toppings of your choice. Salami, ham, mushrooms, olives, anchovies – I love all the usual suspects. And don’t forget extra mozzarella! 6.) Return to the oven for another 6 minutes. Then enjoy!!! 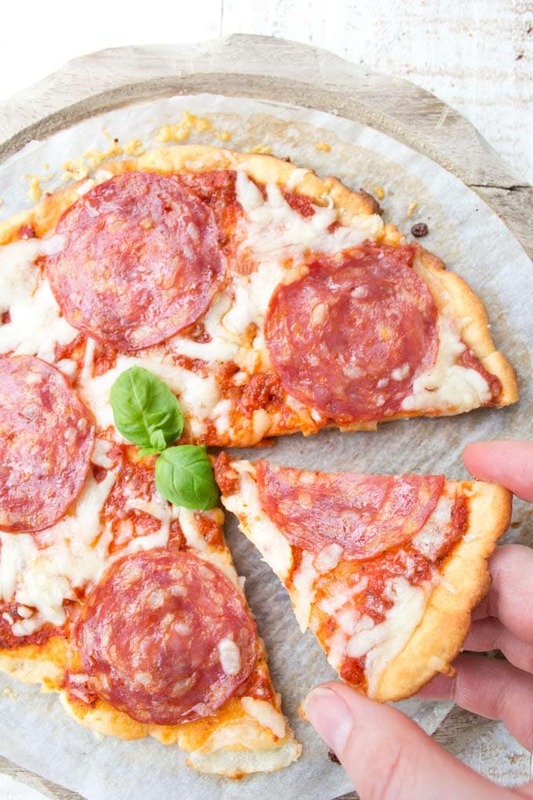 Despite being fairly small, one low carb pizza makes for a generous meal. Mozzarella dough is filling! I’d say if you’re not particularly ravenous, half a pizza plus a side salad would certainly fill you up. I have, however, calculated the nutrition for one whole pizza – see the nutrition panel below the recipe card. The crust alone contains 1.7 net carbs per portion. 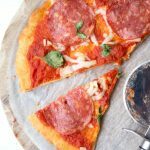 And last but not least – this low carb pizza recipe got the thumbs-up by my two carb-loving teenagers. 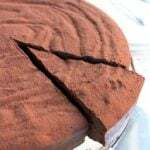 Because the crusts contain only a small amount of coconut flour, you cannot detect its taste at all. My kids enjoyed the “cheesy taste”, so this recipe will definitely go into the regular dinner rotation. Next time I’ll make a big batch of the dough and pre-bake and freeze a few crusts. I think it would be great to have a few of these ready to go for those days when I want to produce a speedy meal. 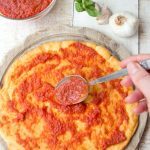 This easy low carb pizza has a simple mozzarella dough crust with coconut flour and psyllium husk. Unlike in the original Fat Head recipe, there's no need to heat the mozzarella! Preheat the oven to 200 Celsius / 392 Fahrenheit. 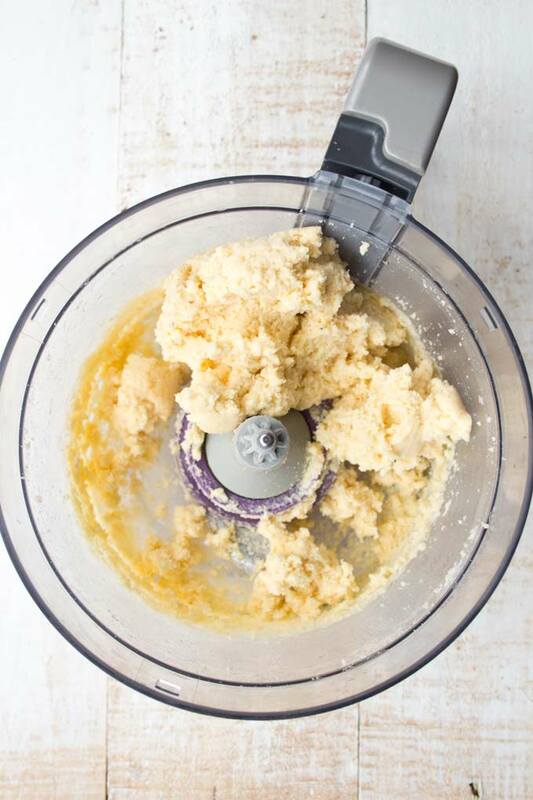 Put the mozzarella, coconut flour, psyllium husk, egg and salt in a blender/food processor. Blend until you have a smooth dough. 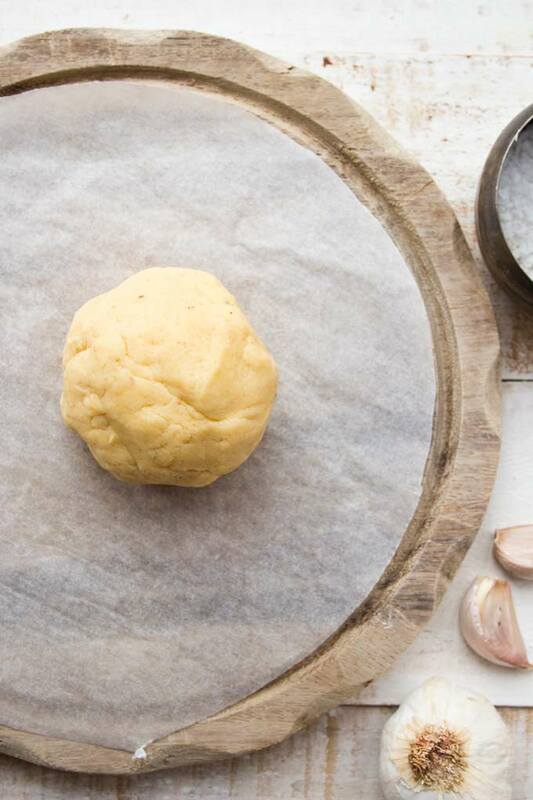 Grease your hands with olive oil and form 2 dough balls. 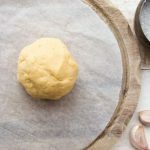 Roll out the dough between 2 sheets of baking paper. 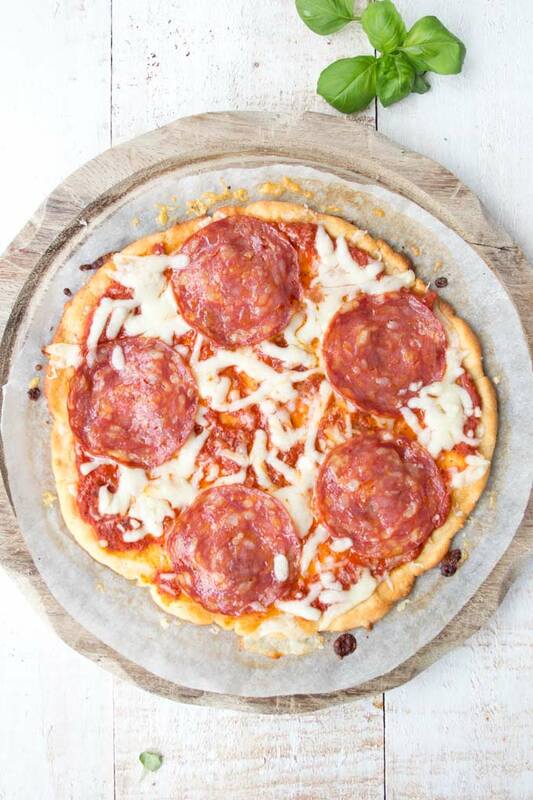 Bake your pizza crust for 7 minutes until slightly browned. 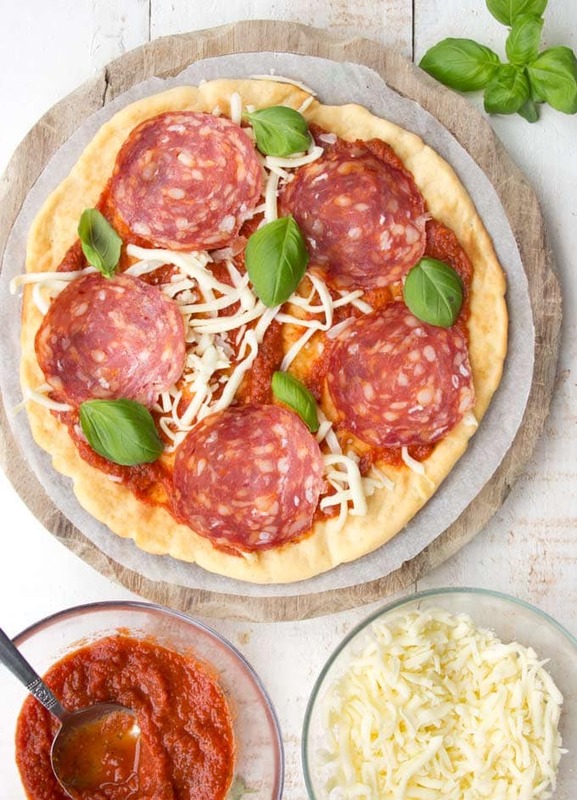 Decorate with a bit of mozzarella (parmesan would work here too), pepperoni slices and some fresh basil. Return to the oven for another 6 minutes. I used psyllium husks, NOT psyllium husk powder. If you want to use fine psyllium husk powder, halve the amount as it's much more absorbent. To make your own quick Marinara, simply blend 1 can of good quality plum tomatoes with 1 garlic clove (or garlic puree), salt, pepper and Italian herbs such as basil. You can cook it on the stove for 5 minutes to reduce the liquid or just use it as is. The nutrition is calculated for 1 pizza. The crust alone contains 1.7 net carbs per portion. Best recipe ever. Easy to make, freezes incredibly well and tastes better than the *real thing*. Thank you so much for your time and effort in creating these recipes. You can try to roll out the dough so the middle is thinner. 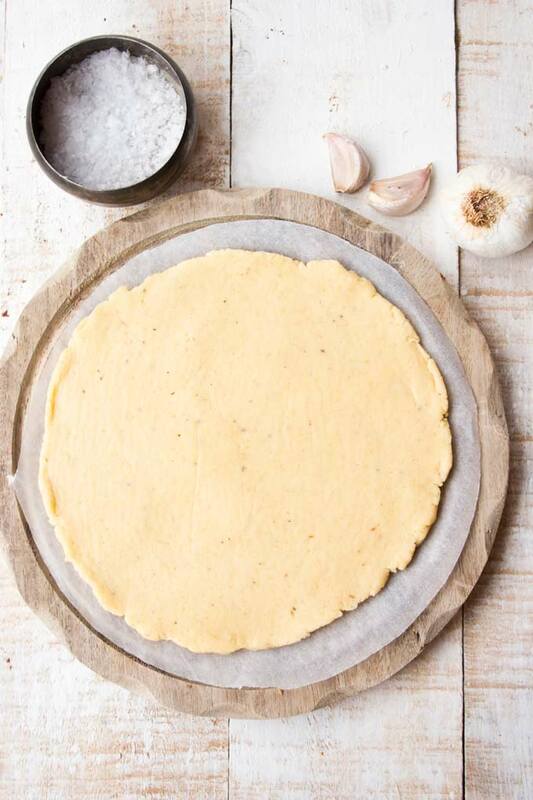 If your sides are thinner than the centre, this could result in the pizza base being browned on the edges but not ready on the inside. Alternatively, put the tray with the pizza lower in the oven, to give the dough longer to bake without burning. Ovens can be temperamental and temperatures can vary. I hope this helps! Last idea – if you made 4 small pizzas instead of 2 larger ones, you could probably also solve your problem that way! I took a chance and substituted cream cheese for the mozzarella. Also added 1/2 tsp of Italian seasoning and 1/2 tsp of cayenne pepper. Whoa! This was very good! 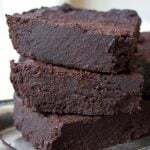 I’m just putting this out there, I’ve tried several of your recipes and they are soooo gooood. I’ve tried other recipes and they really are awful. I bought a cookbook and I doubt that they two people who wrote it ever tested the recipes. I’ve wasted so much food and time and ended up with squat. 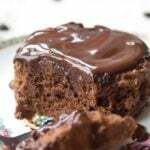 Just tried this recipe and omg almost better then the real thing! So glad I found this and can now make it again again cause it’s so quick and easy! Hi Katrin, did you ever try to use less mozzarella and more flour instead? Could this work, maybe with some additional water? The taste is just too “cheesy” for me (at least with the mozzarella I can get here in Germany). Hi Anna, it’s very possible that the food in Germany is less processed than over here in the UK so you actually get more taste 🙂 You could definitely try that, it would make the dough more crumbly and tender. See how you get on, and if it all falls apart when you roll it out, try a second egg (maybe just the white) to hold it together, or maybe some ground flaxseed. Hi Katrin! We’re always looking for a delicious crust. If we add the baking powder will it still be crisp, as you mentioned spongy? I have a blend of mozzarella and provolone shredded. Do you think that would work? Hi Maryann, I don’t think using baking powder would make the pizza any less crispy. Just give it a go! This looks so good! 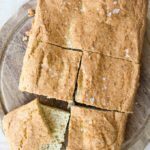 Could I use almond flour instead of coconut flour? 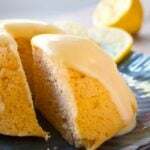 Yes, you can – the original FatHead recipe uses almond flour. I’d double the amount of almond flour though as it’s less absorbent than coconut flour. OMG this is so good I did use the flax seed flour instead of the psyllium , and it is wonderful, also i used the lowest carb can sauce with added basil and garlic , 3 net carbs , with a small salad this whole meal was 10 net carbs , (half the dough) i will make this for hamburger buns , like flat bread ones . thanks again !!! Hi Tammy, great news! I’m so happy you enjoyed the pizza. Great idea to use it for hamburger buns!!! This sounds delicious. I don’t have a stand mixer nor a food processor. Do you think a hand-held mixer would work here? I hope you can answer real soon as I would like to make for dinner tonight. Thanks. Hi Cathy, so sorry I’m seeing this too late for dinner! If you have a thin, tall container you can mix in, it might work. It could get a bit messy though. It took a couple of minutes in my food processor to warm up the cheese enough to produce a smooth dough. The recipe is great. No messing with heating the mozzarella cheese first. But I like to point out that the slice that you show is entirely too dainty. In the US, a typical slice is about 4 times as large. As usual, an outstanding idea. Hi Ray, that’s funny 🙂 Maybe it’s because we have tiny, tiny hands over here in Europe ???? Glad you like the idea though!! I don’t have psyllium husks. Can I leave it out? Of course you can. 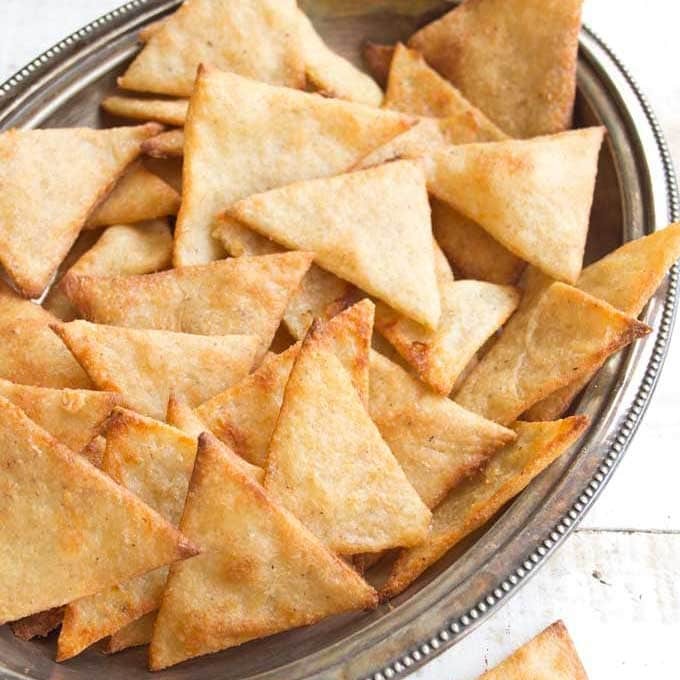 You could use ground flax instead, or just add a little more coconut flour. It should work just as well. flax seed flour ok ?? cause I have that and I do make crackers out of it , so never thought i could do pizza with it . Do you mean flaxseed flour instead of psyllium? That should work fine. Flaxseed instead of the coconut flour – this would change the taste quite a bit I should think. It would firm up the mozzarella though, so in that respect it would work. It might just not taste as much as pizza dough. 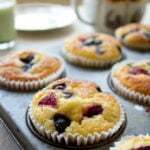 yes i meant instead of the psyllium , I would still use the coconut flour . thank you so much !! Dear Jaqui, thank you for your comment. 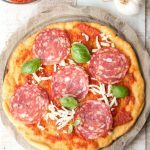 I agree – the flavour of the mozzarella in the dough (and of course your choice of topping) really masks the coconut flour taste so much you cannot detect it. I’m glad you enjoyed the recipe. I’ve made your pretzels, which got me hooked on Fat Head dough. Trying this recipe tonight!!! Let me know how you got on!! I’m happy you like my pretzel recipe. Now I want to make another batch of them!!! Excellent recipe! I have always had a hard time with Fat Head dough and was so excited when I saw this post. It’s so easy! 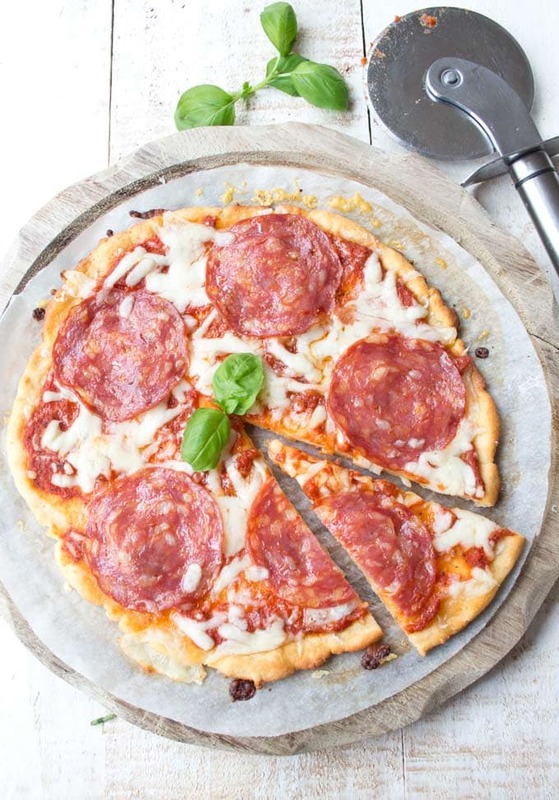 This method really takes all the work out of making Keto pizza. I’m happy you liked the pizza Ben!